99.1 WQRT LPFM Radio – (part of the Garfield Park Creative Community) from Big Car Collaborative on Vimeo. 99.1 WQRT LPFM is a non-commercial, experimental on-air home for contemporary art, music, and community. 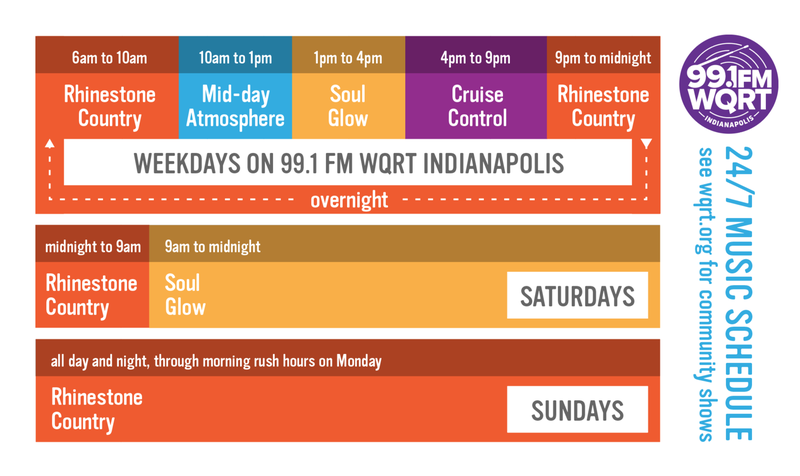 Licensed by the FCC with a reach of most of the city of Indianapolis, Indiana (500,000+ people), WQRT is owned and managed by Big Car Collaborative — a nonprofit arts organization and cross-discipline collective of artists. 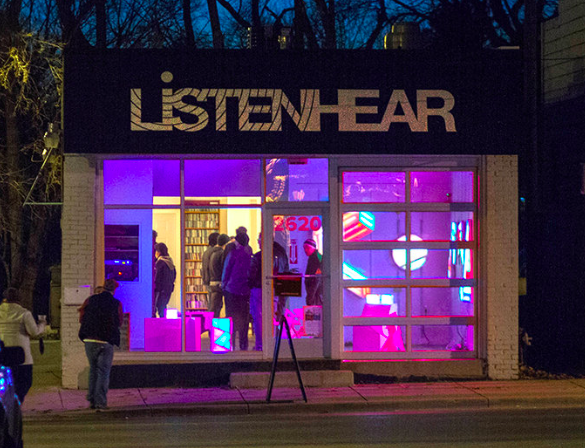 With the help of volunteers, we broadcast from Listen Hear — our sound-art space and audio studio in the Garfield Park neighborhood. Big Car staff artists Holly Sommers, Oreo Jones, Carlie Foreman and Jim Walker lead work on the station and its programming. WQRT focuses on volunteer supported radio shows, community partnerships, and educational programming to bring forward local voices to discuss music, art, community and culture. * LP (low-power) means that this is a short but impressive terrestrial radio signal traveling on the airwaves. WQRT is designed to reach our local community and to be small on purpose. Some major updates and accomplishments were achieved by WQRT staff and community in 2018, all of which continue to develop and involve more volunteers. The entire 24/7 broadcast can now be live-streamed from computers and smartphones for your listening pleasure outside of the Indianapolis area. The embedded free audio player is displayed on the front page of WQRT’s website. You can see the full programming schedule and read about community productions here. During the course of 2018, WQRT’s Rhinestone Country partnered with Duke’s Indy, a local honky-tonk venue, restaurant, and neighborhood pub on Indy’s near Southside, to bring in major country, folk, and western musical acts. The summer welcomed Mike & the Moonpies, Alex Williams, and Chuck Mead & His Grassy Knoll Boys in July. And fall featured several popular acts, including Jamie Wyatt with Addison Johnson, Robbie Fulks, Linda Gail Lewis & Redd Volkaert, Town Mountain, and Dallas Moore. WQRT deeply appreciates the continued support with Duke’s Indy and looks forward to another year of collaboration and good times. To see a full calendar of Duke’s upcoming shows, including more WQRT supported events, please visit here. Some other exciting events during the year for WQRT included hosting a 24-hour Noise-A-Thon fundraiser, featuring artist talks with exhibitors at the Tube Factory Artspace and Efroymson Gallery, a studio take over of Metaphonics: a 52-track fieldworks collection by Stuart Hyatt, media partnership for Holler on the Hill Music Festival in Garfield Park, teaming up with Sustain Indy for THRIVE Indianapolis, showcasing a variety of local and regional bands coming to town with the weekly show, Boom Shakes the Room, and educational recording sessions with resident sound artist, Sean “Oreo” Jones with Sound Lab, a live-on-the-air collaborative experimental music workshop each month. To encourage participation in community radio, WQRT began offering bimonthly training at Radio DJ Workshops (renamed Board Operation Workshops for 2019.) The workshops, open to all ages and experience levels, are 30-minute one-on-one sessions the second Friday of each month, designed to introduce volunteers to the live broadcast studio, station gear and regulations. You can sign up for this free learning opportunity here or join the email list to receive information on all things WQRT. We are also proud to report that Sean was honored to receive the Musical Family Tree Acorn Award for his hard work in enriching the local music scene through his many creative initiatives. Check out Sean’s new project as “Michael Raintree” here, as well as watch his latest music video, Nosebleeder. The biggest achievement for the year was the awarding of “Best New Radio Station for 2018” by Indianapolis Monthly. See the article here. 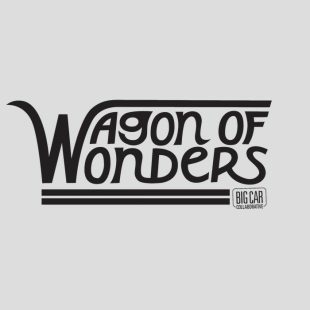 The Big Car Collaborative community is very proud of our talented artists, DJs, and staff for making WQRT a supportive environment for experimental sound, independent radio, and community collaboration. You can read more about the station’s progress in 2018 from these features from DO317, IndyStar and NUVO, and see more project photos here.